Country inspired styling with rustic elements showcases the Frontier Collection s simplistic design. 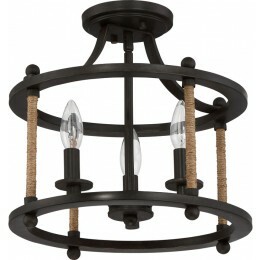 The tightly wound rope on the posts is neutral in color and accents the classic Imperial Bronze finish. 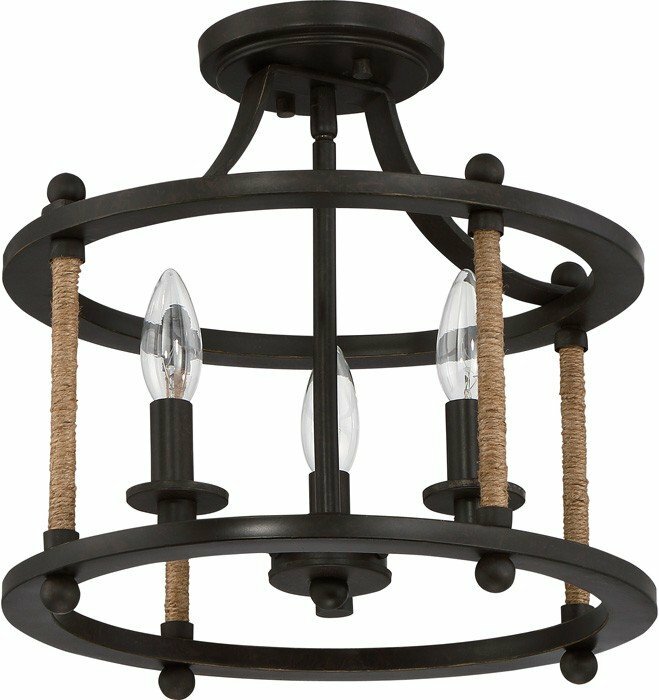 The Quoizel FTR1713IB Frontier collection Close to Ceiling Lighting in Imperial Bronze uses Incandescent light output and brings Modern style. This item is 13"H x 13"W x 13"L. The wattage is 60. 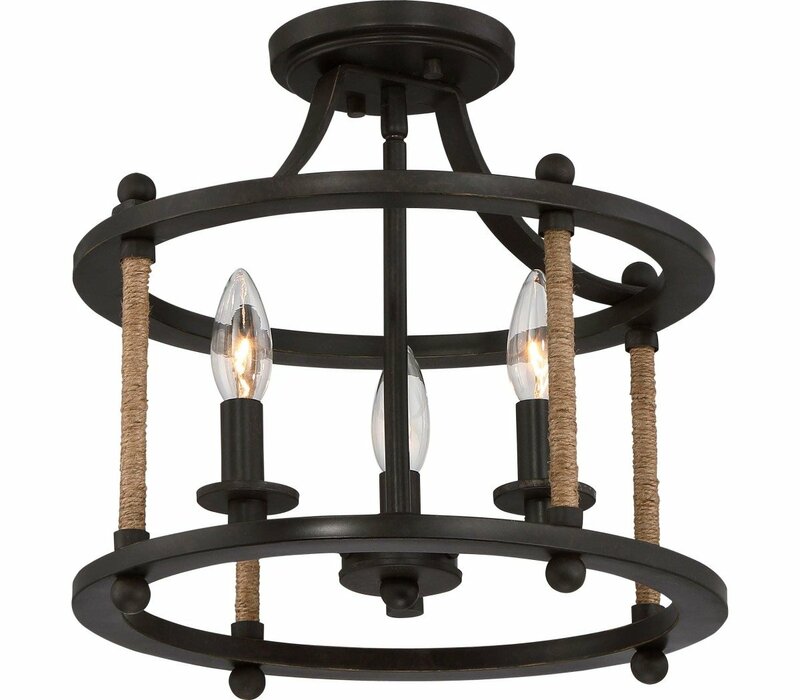 The Quoizel Lighting FTR1713IB requires 3 bulbs (not included).